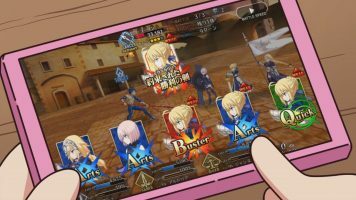 As regular readers of this blog will know, I have a love-hate relationship with the Fate/Grand Order mobile game. 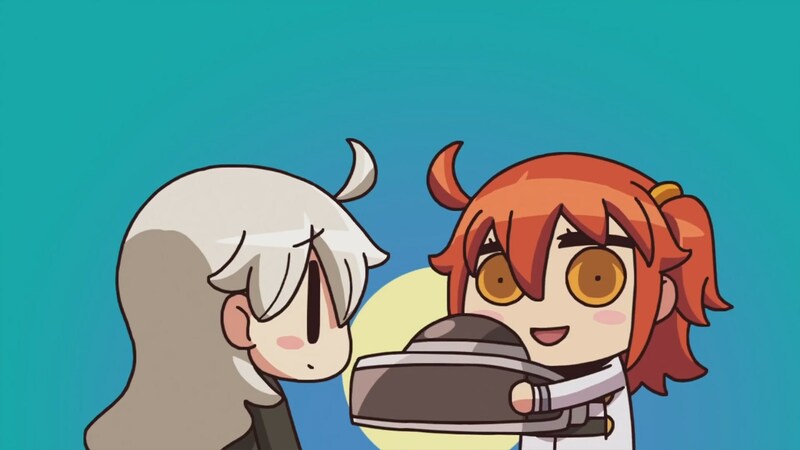 On one hand, I love the notion of being able to be a Master with access to various Servants from the different Fate titles out there. 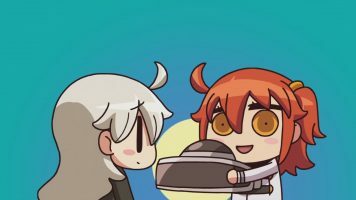 On the other, I don’t like many aspects of the game, such as keeping all 5* SSR Servants behind a paywall, some of whom are only RARELY added to said paywall for a limited time(the infamous gacha system). However, the anime adaptation of Learning with Manga! FGO was one I knew would be short but funny. So I gave it a watch. As part of helping people learn the game, manga-ka Riyo-sensei has done a series of comedic, one-page manga chapters about the game, called Learning with Manga! 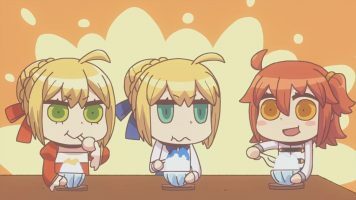 FGO. In this manga, Riyo-sensei has drawn all of the characters in the super deformed style to make things more funny. 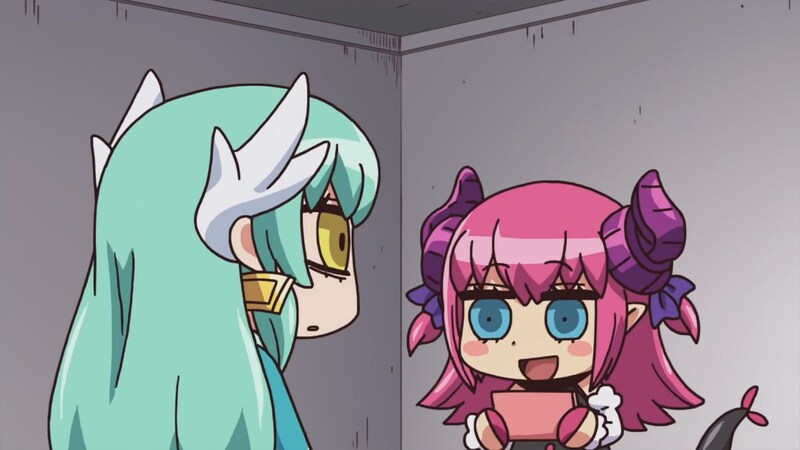 Then he has the characters discuss something about the game. This is followed by text giving more detailed information on how to play the game. 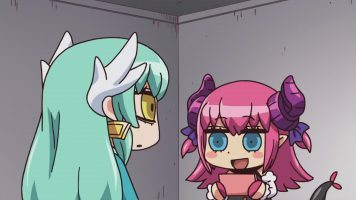 One of the things that makes the manga so funny is that for the most part, Riyo-sensei uses the female protagonist character as the lead. And then he made her nuts! 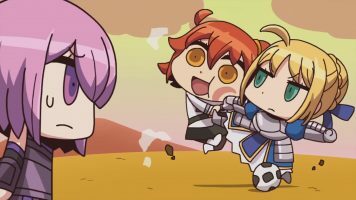 🤣 And through her, Riyo-sensei complains about certain annoying aspects of the game, like gacha, not being able to skip Noble Phantasm animations, etc. It is quite hilarious. The anime version of Learning with Manga! FGO continues using the same SD art style that made the manga so funny. While the anime is called Learning with Manga! 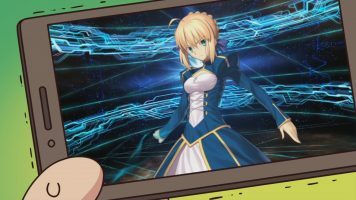 FGO, it is actually adapting select chapters from the sequel More Learning with Manga! FGO. As such, we get multiple shorts to cover the different 1-page manga chapters. 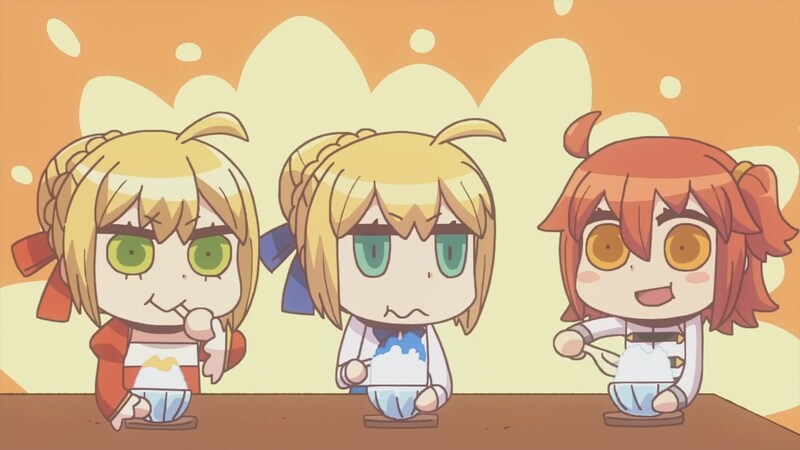 While the manga is certainly funny as all get out (especially if you play Fate/Grand Order), the anime becomes a bit funnier, thanks to the animation and vocalization. 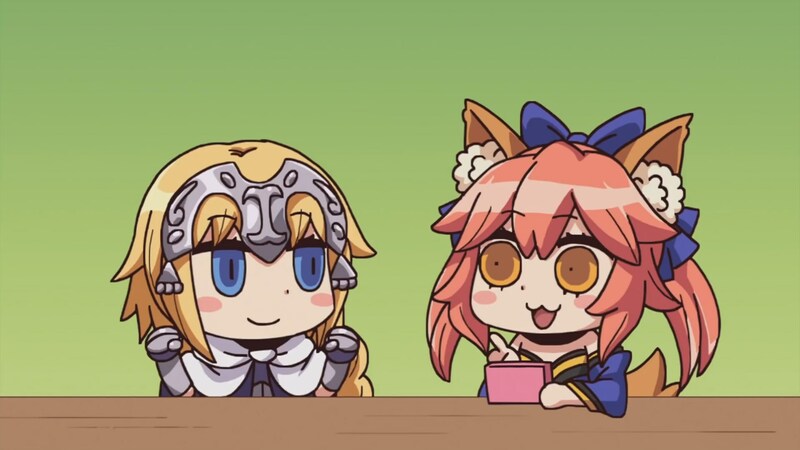 It is pretty cool hearing the different Servant seiyuu come in and do lines for the anime. I missed Saber Altria speaking, but then she never speaks in the manga. And that too ends up being pretty funny. Plus, I have to say that the nutty female protagonist is insanely funny. In the end, the anime adaptation of Learning with Manga! 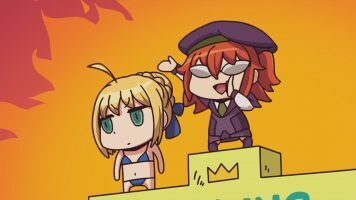 FGO is slightly funnier than the manga, and is great for laying out some of the complaints I have about the game in a humorous manner. I highly recommend this anime (and the manga) for anyone who’s playing (or has played) the game. 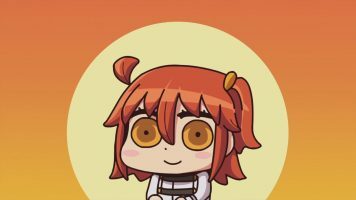 Protagonist/Gudako is Love, Protagonist/Gudako is Life. The joke with Jack the Ripper stabbing Tamamo and Jeanne was especially inspired and brilliant in timing.